Feather Flies to the Sky (Palok Akashe Ore), a Chinese drama serial, has debuted in Bangladesh to amuse the drama lovers in the South Asian country. ATN Bangla started airing the serial on Thursday night, becoming the first Bangladeshi TV channel to telecast any Chinese drama serial. The serial, dubbed in Bangla, will be aired three days a week – Tuesday to Thursday – on the first-generation private TV channel at 8:40pm. The serial is being telecasted under a joint initiative of China Radio International and ATN Bangla, which entered into an agreement in December last year at a programme at Chinese embassy in Dhaka. At the agreement signing ceremony, Chinese Ambassador Zhang Zuo expressed the hope that media outlets of the two friendly countries will play the role of a bridge to strengthen political ties, economic relations and cultural exchange. He also hoped that the media organisations will build a common platform to help the two countries further the diplomatic cooperation. Palok Akashe Ore is a 116-eposde drama starring Yin Tao and Zhang Yi. Other performers of the serial are He Yu Cheng, Deng Yu Li, Shu Yao Gao, Tian Yu Peng, Lin Yi Ting, Zheng Qi, Yu Zi Kuan and Shi Xuan Ru. Yin Tao and Zhang Yi won the best actor and actress awards at the 23rd Shanghai TV festival held in 2017 for their acting in the drama serial. The drama bagged three awards – in best actor, best actress and screenplay categories – at the 29th TV Golden Eagle Award for Chinese TV channels. 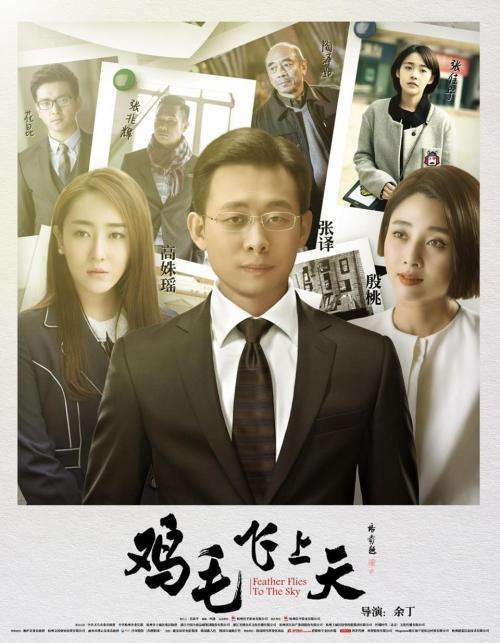 The serial depicts the love and business experience of Chen Jiang He and his wife Luo Yu Zhu in Yiwu under Zhejiang province of China in the background of commercial development of the city for three decades. The couple’s story reflects the life of thousands of Chinese businesspersons. CRI Bangla Department Director Yu Guang Yue told the daily sun that a quiz competition on the drama will be held on the Facebook pages of CRI Bangla and ATN Bangla on every Thursday during the telecast of the serial. She said four winners will be given prizes every week after section through a lottery. Two of them will be given free coupons for a meal at Bamboo Shoot Restaurant while the two others will be awarded two pairs of sports shoes sponsored by Panda Fashion Shoes.